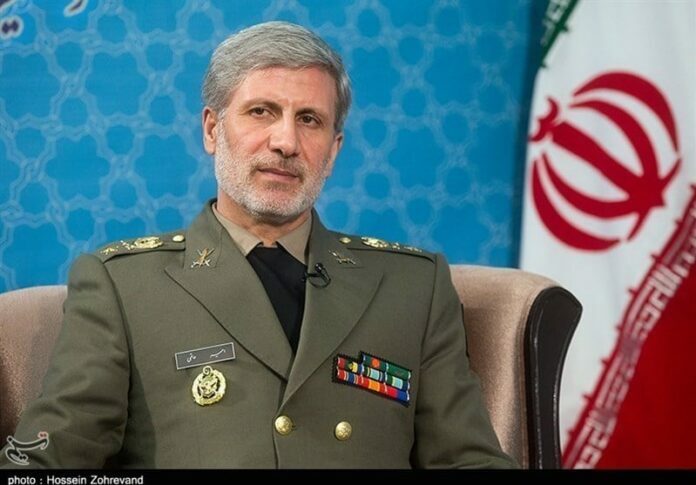 Iranian Defense Minister Brigadier General Amir Hatami decried the US breach of treaties and its sanctions on Iran, saying inaction against such lawlessness would result in the emergence of new Hitlers. In an address to the closing of a military medicine conference in Tehran on Monday, General Hatami lashed out at the US government for breaking the international law. “Everybody witnessed how they (Americans) violated agreements and the world saw Iran expressing its good will for resolution of the fabricated nuclear crisis,” he said. “The Americans have imposed sanctions on us because of opting for independence, and even blocked our access to medicine,” the Iranian defense minister deplored, warning that lack of action against such US lawlessness would lead to the rise of new Hitlers. “The whole world must counter countries intending to beat the drum of war with law-breaking, and should not allow certain countries to steer the world to war,” the general stressed. He then described Iran as a major victim of chemical weapons that has paid heavy costs for the treatment of chemical attack victims, saying the country has become self-sufficient in producing medical equipment and is ready to share its experience with other countries. Iran has made hundreds of products for protection against radioactive, biological and chemical weapons, he added. General Hatami also voiced Iran’s readiness to run courses for participants of the military medicine congress to share the experience in countering chemical weapons, saying the Defense Ministry is also open to cooperation in the field of military veterinary medicine. The 4th edition of Military Medicine Congress in Asia-Pacific Region was attended by military commanders and delegations from 45 countries. Iran took the rotating presidency of the biennial congress.